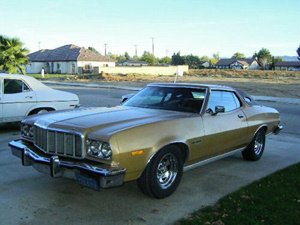 Scott started the search for his childhood dream car in 2007, and found one on eBay through this site in January, 2008. As advertised, it was a green (see below), one-owner, rust-free 1974 Ford Gran Torino with a 351 Cleveland Engine in Lancaster California. 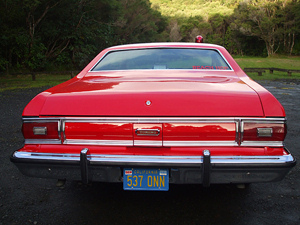 The original owner purchased the car from Galpin Ford in South Carolina. 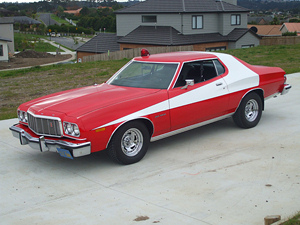 Scott arranged for the car to be inspected through a local shipping agent who confirmed that the car was, in fact, "in perfect shape." 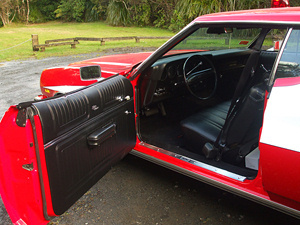 Scott waited an excruciating two weeks before the car landed in Auckland, New Zealand. He found the car to be in better shape than he could have ever imagined. 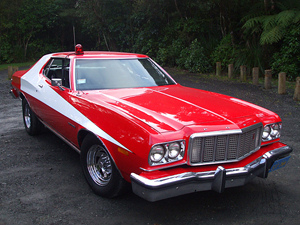 The Torino had to go through compliance to be registered on New Zealand roads, and it passed with ease. The car was already equipped with Doug Thorley headers, a dual Flow Master 50 Series exhaust, KYB shocks all around, and Addco sway bars both front and rear. 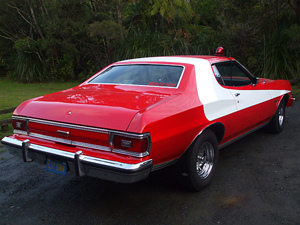 Scott removed the A/C unit because it's not required in New Zealand, and also removed the two-barrel carburetor and manifold and replaced them with a four-barrel Holly carb and intake. 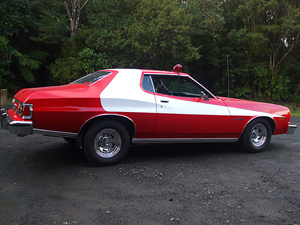 The Torino was then off to the paint shop where the vinyl roof, opera windows, interior, and glass were removed and the car was stripped back to bare metal. They found that other than a couple of supermarket trolley (shopping cart) dents, the original owner had told the truth - there was not even a pin head of rust on the car, which made easy for body work and painting. 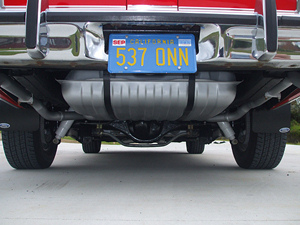 The undercarriage was painted with POR15 and under sealed to ensure that the car stays rust free for another 38 years. 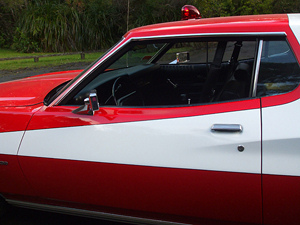 The car was painted Viper Red. 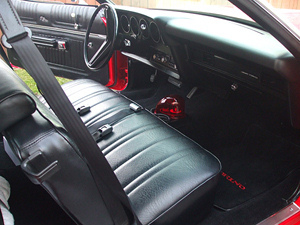 The interior was originally brown, so Scott bought a full interior kit from Dearborn Classics. After six weeks in the shop, "Bob's your Uncle" - the project was finished. 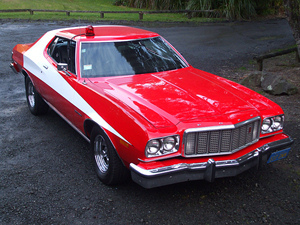 Scott registered the TV show license plate number of "537 ONN" as his personal plate and now the car has joined the elite few (Scott knows of 5) "Starsky & Hutch" Torinos in New Zealand. 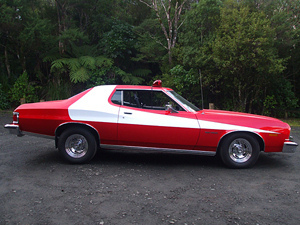 This car is "Sweet As" so if you're ever in the land of the Kiwis, find Scott and see it for yourself! This Page © 2012 StarskyTorino.com Created October 11, 2012.